Corbeau universal seat heating systems are among the highest quality seat-heating units available today. Those who have ever experienced the luxury of a seat heater know that once you’ve taken pleasure in a seat heater, it almost becomes a necessity. 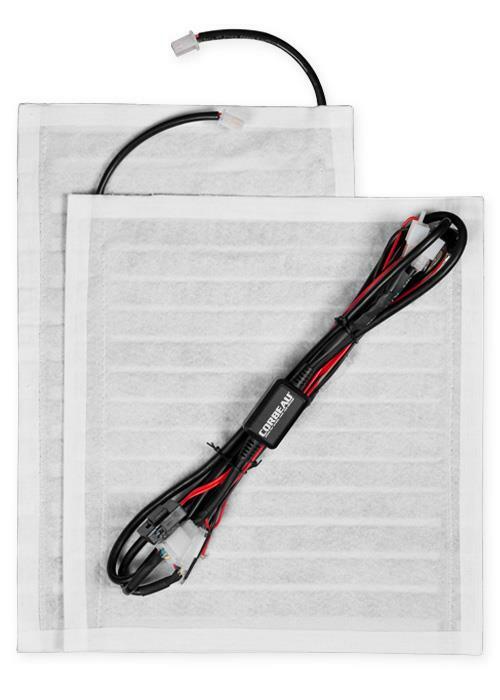 We’ve now made it possible to get a high quality seat-heating unit at an affordable price. Corbeau Seat Heaters can be installed in your Corbeau Seats or in your factory seats in a matter of minutes. While we always recommend you have these installed by a professional, the installation is really quite simple. Two wires, a positive and ground wire, connect to your factory electrical system. What’s great about our heaters is they will heat up within two minutes. 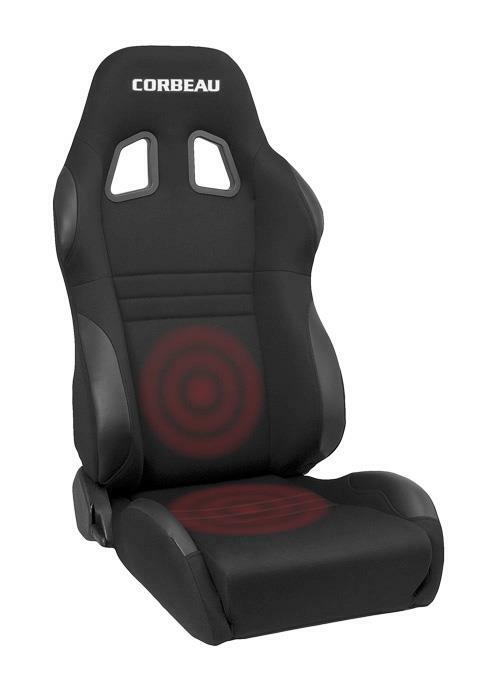 The patented heat flow system forces the heat from the heater to only go upward towards the body as opposed to a downward flow into the seat itself. This means your body will feel the majority of the heat flow and will warm up faster than most seat heaters. 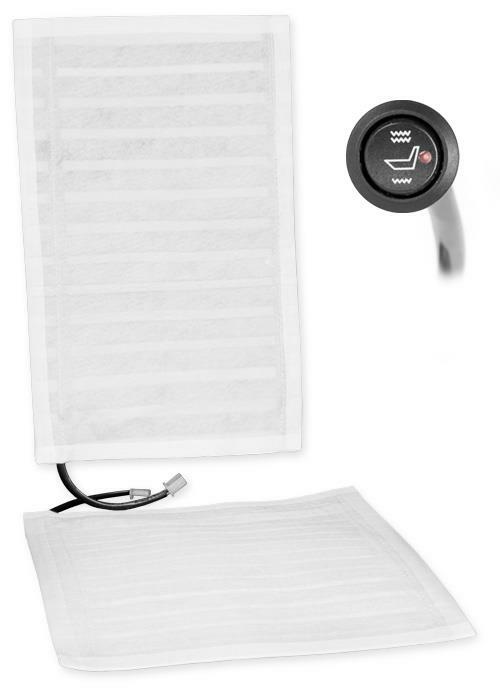 Corbeau Seat heating pads feature carbon fiber technology, which is regarded as one of the finest heating pad materials available today. Corbeau seat heaters are custom in that the heating pads can be trimmed to size to ensure proper fitment on your seat.